Oktoberfest has skyrocketed from its humble origins as a Bavarian wedding celebration to an international phenomenon. 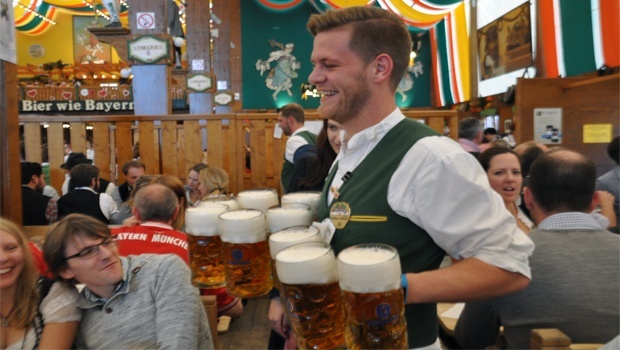 The official celebration in Munich, Germany hosts nearly 7 million visitors annually over the course this two-week long beer festival. There is a lot to see, do, drink, and eat during Oktoberfest. But navigating huge crowds and the language and customs of a foreign country can get a bit tricky with beer goggles on. Figuring out your Oktoberfest game plan can be a bit overwhelming for first-timers. 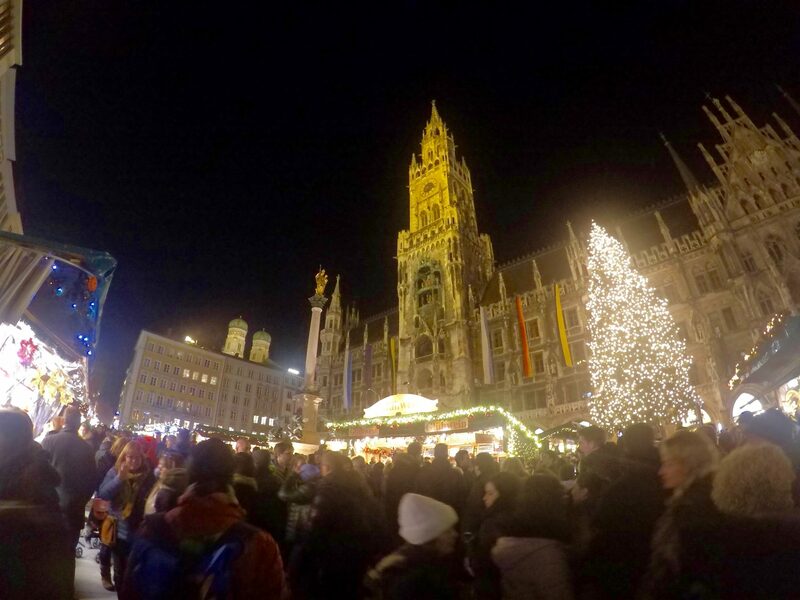 But after taking visitors to Munich for these celebrations for many years, we’ve learned a thing or two about how to make the most of your experience. 1. DO dress the part. DON’T buy goofy gear. You will see a lot of Lederhosen and Dirndl at Oktoberfest, on people of all kinds. From Munich natives to Japanese tourists, Oktoberfest is the most popular time of year for the traditional Bavarian Tracht to make its appearance. If you don’t know how to dress for Oktoberfest, read up on the origins of this celebratory costume, browse a Tracht shop in Munich, or simply look around you. Dressing up is a huge part of the fun, and you may feel left out if you choose to wear street clothes for the whole festival! But at a festival of this size, there are always cheap goods for sale from merchants looking to make a quick buck off of drunk tourists who don’t know any better. Oktoberfest is not Halloween, and costumes that are not related to the celebration will look very out of place. Avoid gimmicky costumes. 2. DO bring cash. DON’T bring a wad. Germans on the whole are a rather credit-averse nation. 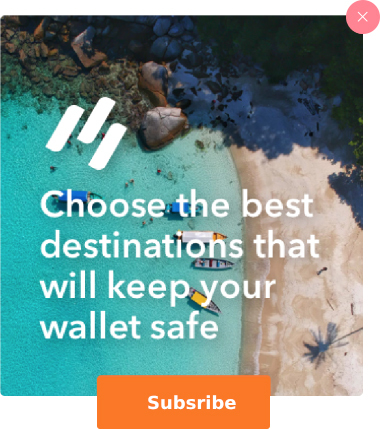 The sort of food trucks and markets that Oktoberfest is famous for will almost certainly not accept credit cards or any other kind of electronic payment, so make sure you always have adequate cash on you to cover your day’s activities. But Germany is a first world country with a thriving shopping culture, so you don’t need to pull out thousands of euros if you anticipate shopping during your time in Munich. Anywhere where big purchases can be made will accept your credit cards, and ATMs are also readily available all over the city. There’s no reason you should have hundreds of euros on you while you’re out and about at the festival. 3. DO drink responsibly. DON’T binge drink. Oktoberfest is two weeks long, and there is a lot more to do than simply guzzle beer during the festival. Your Oktoberfest game plan should not revolve solely around drinking. If you want to tour the city, visit German castles and palaces, make friends, eat great food, and actually remember it, make sure that you and your group aren’t overdoing it with the beer. 4. DO drink beer. DON’T drink Schnapps. That said, you should be drinking! 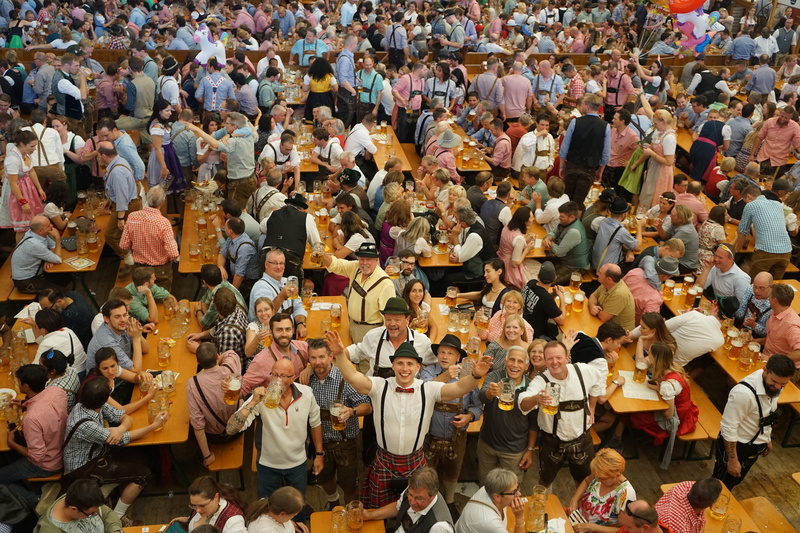 Oktoberfest is a celebration of some of the world’s best brews, and it would be completely nuts to travel all the way to Munich without using the chance to develop a finer appreciation for the seasonal beers available. Schnapps, however, are generally to be avoided. The German word Schnapps means liquor, and not just the sweet and fruity varieties, but pretty much anything you can drink in shot-form. While Schnapps will be available in some tents and do have a special place in German drinking culture, you do not want to be mixing your alcohols during Oktoberfest. Best stick to the delicious beers that Oktoberfest is renowned for, and leave the Schnapps for another time. 5. DO eat heartily. DON’T skip meals. Sure, one Stein full of Oktoberfest beer is thousands of calories of liquid carbs. Sure, Germans may tell you that beer is its own food group. But you should under no circumstances forget to eat while partying at Oktoberfest. You will need some hearty traditional Bavarian food to sop up all the alcohol if you are going to make it into the evening, and drinking on an empty stomach is simply a recipe for disaster. Luckily, Oktoberfest foods are delicious and available all over the festival grounds. 6. DO be friendly. DON’T be rude. Smile, learn a few courtesy words in German, and display your gratitude when festival-workers help or serve you. You’ll find that a little bit of politeness goes a long way with Germans. You do not get a pass for being drunk and belligerent just because you’re in a foreign country. Not only will you receive lots of scorn from other festival goers, but festival staff will have no problem ejecting you from the premises. 7. DO dance on benches. DON’T dance on tables. German drinking songs can be seriously catchy, and one of the best ways to show your enthusiasm is to hop on the benches and dance along. Make sure your footwear is suitable for this! Falling would be both embarrassing and painful. Plus you’d spill a lot of beer on your way down. But while dancing on benches is completely fine and even encouraged, don’t even think about getting up on the table tops. You’ll be stopped by a staff member before you have a chance to show off any dance moves. 8. DO drink in the tents. DON’T smoke in the tents. While you’ll find that Germany is much more lax about where smoking is permitted that most other western countries, smoking cigarettes is not permitted inside the beer tents. There will be designated smoking areas for each tent, and you will also be able to smoke while simply walking around the festival grounds. If you go to any bars or clubs within the city, you will find that most permit smoking inside as well. 9. DO make friends. DON’T join fights. The spirit of merriment is simply contagious at Oktoberfest. Take this opportunity to meet people from all over the world! You’ll find that many Germans speak conversational English, so make a point to ask locals for their advice about what to do in Munich. Despite the good vibes, heavy drinking can often lead to fights. Good thing the Munich Police are incredibly swift and do not tolerate drunken brawls. You do not want to end up having to pay a hefty fine for getting in a fight, so just stay out of it. 10. DO buy souvenirs. DON’T steal Steins. German drinking culture is very protective of its glassware. In many bars and clubs, you pay a Pfand for the glassware, an extra fee that you are reimbursed for when you return the glass to the bar. During Oktoberfest, staff will check your bags as you leave to ensure that you’re not stealing the glassware. We understand that commemorative glasses are a great trinket to bring home, but stealing them should never be your game plan. There will be souvenir shops all over Munich during Oktoberfest, so you won’t have to wander very far before you find the perfect gift or memento. Ready to have a wild time at one of the world’s oldest and most famous drinking festivals? Want to see all the sites that beautiful Munich has to offer? 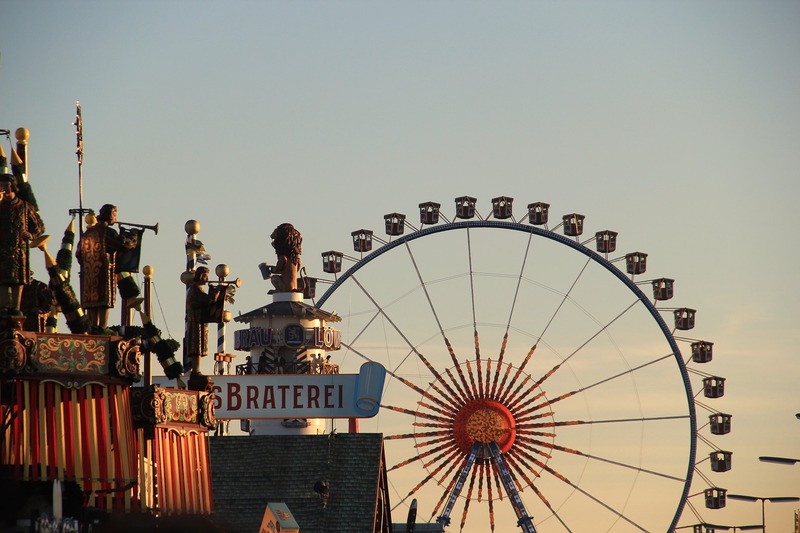 Download our brochure and make plans to travel with Bucket List Events to Oktoberfest in Munich.